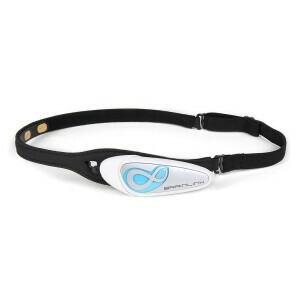 Take your meditation practice to new heights with Muse: the brain sensing headband. It is more than a meditation app - it's your personal meditation assistant, helping you learn to meditate quickly and develop a rewarding meditation practice in just minutes a day. Muse is the first tool in the world that can give you accurate, real-time feedback on what's happening in your brain when you meditate, and offers fun challenges and awards that help you learn to form the habit. Our Recommendation: Make sure to ordert he Muse Carrying Case together with the Muse headband. This way you can have the Muse with you on the road and keep it safe at the same time! Muse is the first tool in the world that gives you accurate, real-time feedback on what's happening in your brain when you meditate. Improve your meditation practice in as little as 3 minutes a day - any time, anywhere. Personalized tracking, motivational challenges and rewards encourage you to build a more regular and effective practice. Experience all the benefits of meditation - such as relaxation, improved mood and reduced stress - with none of the uncertainty. Your brain is constantly generating electrical signals when you're thinking, sleeping or even relaxing. These signals can be detected from outside your head, via sensors. 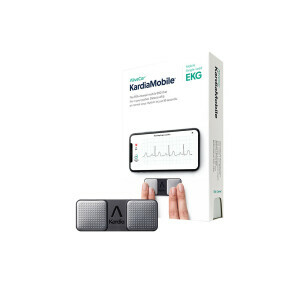 Muse uses the same brain sensing technology that doctors and scientists have employed for more than a century to detect your brain signals, similar to how a heart monitor measures your pulse. Muse has 7 finely calibrated sensors - 2 on the forehead, 2 behind the ears plus 3 reference sensors - which detect and measure the activity of your brain. In the short-term, meditation has been shown to trigger the natural relaxation response - a state of deep rest that changes the physiological and emotional. Your metabolism decreases and your hearbeat slows. The muscles relax, breathing becomes slower, and your blood pressure decreases. A study showed that 20 minutes of meditation for 3 days in a row reduced anxiety, improved mood, and reduced heart rate. Research on longer sessions has documented other benefits, like increased grey matter density, reduced thinning of the prefrontal cortex, decreasing amygdala activity (associated with stress response), and increased resilience - basically, an overall beneficial change of the brain's structure and function. Research has shown using an app and starting with 3-5 minutes can dramatically help you build a meditation practice. Muse starts you with 3 minute sessions and rewards you for your achievements, making sure it's easy and motivating to train with Muse. 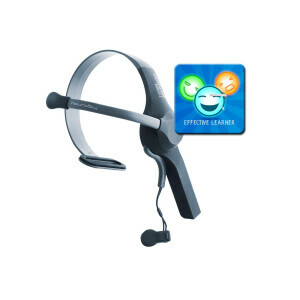 The first time you use Muse, you'll be led through a simple tutorial that teaches you how to adjust the headband for a good fit and to ensure it's reading your brain signals correctly. Your brain is different every day. To calibrate itself before each session, Muse will take a snapshot of your brain in an active state. Muse uses this snapshot as a reference to understand your brain signals. 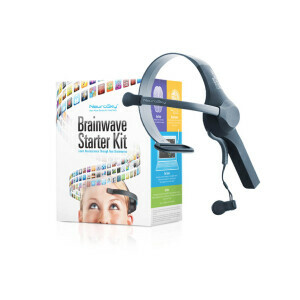 For each calibration, Muse listens to your brain signals for 60 seconds as you perform a simple brainstorming task. After each session, you'll see how you did through a series of graphs and charts. Track your progress over time and earn points to unlock new features. Muse will show you how your brain did from moment to moment through simple, easy to understand graphs and charts. View your whole session at once, find out the amount of time you remained calm during a session and get helpful tips on how to improve future scores. Your results are saved in a private account. Use the Calm app to follow your progress over time and learn new things about your own mind. To help keep you motivated and improving, Muse also gives you points, goals, challenges and bonuses to strive for. With every session you earn points, and can adjust your goal to fit your needs. Muse: the brain sensing headband is a brain fitness tool that measures brain signals much like a heart rate monitor senses your heartbeat. 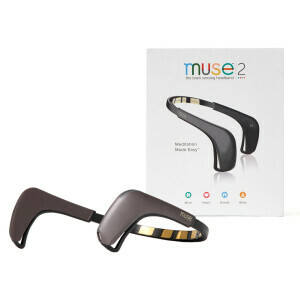 Muse's 7 finely calibrated sensors - 2 on the forehead, 2 behind the ears plus 3 reference sensors - detect and measure the activity of your brain. Muse has been tested and certified in accordance with Canadian, USA and European regulatory standards (FCC, UL, CE). The measurements Muse takes are harmless to people and only provide information about your general state. Brain sensing has been used in hospitals and research institutions for over a century to study various aspects of the brain's function. Muse uses Bluetooth to send information to your mobile device. Bluetooth radio waves are roughly 100 times less powerful than a cell phone radio waves and is used in millions of devices designed to be worn on the head, like headsets and headphones. Muse is beautiful, comfortable and easy to fit while providing a strong reading for your brainwaves for accurate feedback. When you pair Muse with the app, you are taken through a brief tutorial to ensure best fit. How can muse help you meditate? The first app, Muse, can be downloaded, free of charge, from Google Play Store or the Apple App Store. Interaxon Muse is designed with dry sensors, and does not require gel. Interaxon Muse uses the fully certified Bluetooth® version 4.0 module, supports version 2.1 + Enhanced Data Rate (EDR), and is backwards-compatible with Bluetooth version 2.0, 1.2, and 1.1. We've added 2 new soundscapes to find out what keeps you calm. They will provide more opportunity to personalize the experience so you can discover the sounds that resonate most with you and best support your practice. Use the Ambient Music soundscape to practice with synthesized drones and electronic birds. The Desert evokes a feeling of vastness with the sound of wind and twirling sand. Also we're introducing exercises and worked with accomplished meditation teachers to create "Meditation with Muse", a new pack of exercises built directly into the app. The "Meditation with Muse" course offers 10 guided exercise sessions that help you to discover how Muse's real-time audio feedback assists you in learning to meditate. The sessions cover different meditation techniques and exercises that help you build a consistent practice with Muse in order to help you find the practice that works best for you. Head to your "exercise" screen and work your way through exercises exploring posture, soundscapes, distractions, discomfort and more. In addition, you can now share your session results with version 11.0 and get notified when it's time to start a meditation session again. Also they added notifications to inspire and help you to keep the meditation habit.